Battlefield 4 needs an update!! Please make sure to Post a Comment on what you think should be added To Bf4! Thanks!! I've removed email address from your post as posting your personal information is not allowed on the forums for security reasons. What kind of update do you want? But DICE/EA wont support players anymore I think. 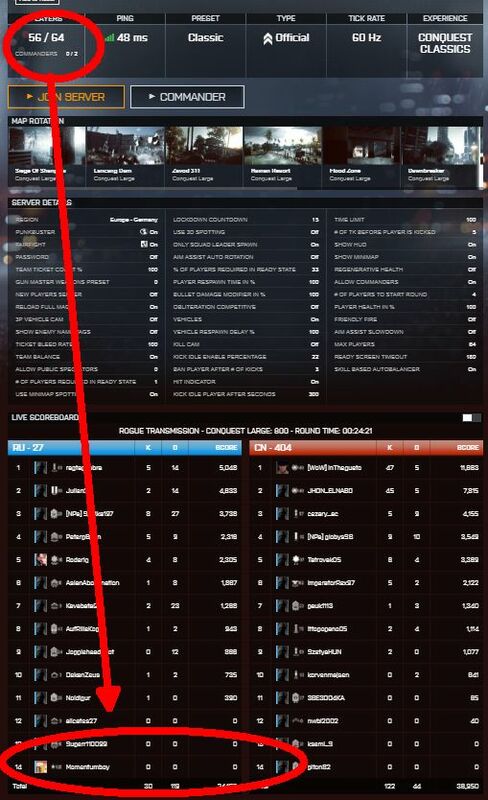 Even now, then more people playing BF4 on PC then BF1 (dec). Who wanna buy new game then they ignore populated products. Another funny thing, they selling some DLC for full price, while now where's only 50 players on it at weekend evening. Wanna buy? Seems wonderful! Yeah, I have no clue but that is precisely my point! Wouldn't you guys just absolutely love a new campaign? Well, I would love it if EA Made a DLC adding a whole bunch of new assets in like the Bf3 Campaign! Let me know what you guys think!! Maybe New Vehicles?? Like an Insurgents faction maybe?? New multiplayer maps, a complete overhaul on The Campaign, No one would Judge You EA!! BF4 was 'sunset' last year my friend . You're 'beating on the door of an emptied building' . I like the way that you're evenly deploying your four Classes . Later on , if/when you're an All-Class 'specialist' , there'll be no shortage of work for you to do to secure Wins . I'm fairly envious of all those zeros you have under your 'Soldier Equipment' and 'Transport Vehicles' stats , like MAV Kills , EOD Bot Kills etc . That 'First Time' thrill of each of those things getting a Kill . . . mannn what fun ! Maxing out and unlocking all Classes , and all Vehicles , and all Equipment , all with Good Fun foremost in mind , is gonna take you quite a while to accomplish . . . in time , you'll forget all about this thread .